Nanowrimo. I've never actually hit 50k in a month but I always join in. I think it's a fabulous excuse to write lots and quickly. A good motivating month to remember lots of others are out there too. I'm currently around 8k in after 11 days which is pretty unimpressive but I am on holiday in the Canaries so am allowed, and now have a lot to catch up on when back. What I am doing is joining in the daily word races Book Camp are running, so at least I am getting some words on the page. Book Camp is running word races at 10am every day on twitter. This means for 1 hour every day people write as fast as they can, as many words as they can produce, racing against each other. We stop at 11am and confess word counts. It is amazing how many words some can write in that time. Even those that don't produce over a thousand (or 2k if you're author Rachael Lucas) often comment that it forced them to finish a scene they were struggling with, or got them started for the day when they were faffing. I have always loved them. The sense that others are out there doing the same thing, the guilt if I reach for my mobile in that time (I leave wifi off for it so I can't be tempted) and the way that once you start concentrating the time really does fly. They give you a great excuse for a proper break too. Before I would feel bad about small breaks, always thinking I hadn't rally earned one, now I break knowing I can have that cup of tea and cake guilt-free. Try it sometime. Not to worry if there's no one to race - I often try to beat my own PB. 1) STOP OVER-THINKING IT - so you don't know where to start, so you don't know whether this scene will be in the final draft, so you don't know whether your heroine will have blue eyes, so you're not sure... You get the picture. Have a loose idea of what you might want to write but don't let fear stop you even beginning. 2) SET A TIMER - this is a great way of forcing you to write and write quickly. Set yourself a set amount of time and get your head down. You are not allowed to do anything else in that time (be it 15 mins, 30 mins or an hour) - even if you just sit there staring (that's thinking time) you might be surprised by how much you achieve. 3) DON'T RE-READ - stop tinkering with the small stuff. Don't go back over your work, try to forge on with a new scene. Don't correct every comma and worry about minor details you can research later. Just write more. More words. Loads of words. 4) STOP IN MIDDLE OF SCENE - this can be a really good way of starting the next day as you don't need to worry about a blank page and no ideas, you can start where you left off. 5) SET YOURSELF A DEADLINE - don't be unrealistic but maybe set yourself a deadline for that first draft to be complete. Work out roughly how many words a week that equates to (I always think a day sounds too hard as loads of people don't write everyday but in large chunks) and try to get it done. For more of Cesca's top tips have a look at the Beat the Block videos. This is the second in our regular profile interviews where we interview an author with a fascinating and inspiring real life story of their own to tell. Our very own Cesca Major, presenter of the Novelicious Beat the Block videos, is author of two novels under her own name and three as Rosie Blake. Cesca also runs Book Camps, Word Races on twitter and mentors other writers. I chatted to her about how twitter has helped her writing career, writing two genres as two people and getting lost in research. Quite honestly I could talk to Cesca about writing for hours. She has so many tips, has real vision, knows the industry and is utterly encouraging. It was no surprise, really, that Katy Colins wanted to be mentored by Cesca as part of the WoMentoring project a few years ago. Cesca’s writing career started out by long, hilarious tales she would email her friends when on her travels. She never had that burning ambition to write as a child and, in fact, has come to writing via TV presenting and teaching history. Whilst at university Cesca would devour romcoms. It was only a matter of time before she began to wonder what sort of book she would write. In 2005, she began to write a novel. Thinking just how easy it was. Then she realised just how hard it can be. She started a second book. Half way through writing this one she got The Fear; thinking all her words were rubbish. By now it was 2007 and Twitter was very much in its infancy. There were very few online communities and Cesca was the only one she knew in real life who was writing. “I was the weird freak not snogging boys but writing novels.” She had no-one to talk to about her writing doubts. Then in 2009 she joined Twitter. Suddenly Cesca found a group of people online who understood. Who would share tips and tricks giving Cesca the kick she needed. She found courses, experimented with different genres and became serious about getting published. She completed that second novel. The Silent Hours was written; inspired by a subject she was teaching her history class. “When I finished it I thought, this is different to anything else I’ve ever written before.” Cesca sent it out to five different agents; resulting in her signing up with one of them. At the same time, however, Rosie Blake was about to enter the writing world. Cesca had, many months before, entered a chapter into the Novelicious Undiscovered competition which had attracted the attention of Kirsty. Kirsty asked to see the rest of the book (“I lied,” said Cesca, “and said it was finished”) so Cesca hastily added an extra 20,000 words to the abandoned manuscript and emailed it to Kirsty one month later. Not long afterwards Cesca was published, as Rosie Blake, by Novelicious Books. It was obvious she needed two different names. Rosie Blake was light-hearted romance. The Silent Hours was historical fiction based on a real-life tragedy from World War Two. Cesca also needed to separate her twitter account, saying "it was a strange mixture of personalities in the beginning". Cesca now talks about writing, word races and shares writing articles. Rosie meanwhile is chatting excitedly OFTEN IN CAPITALS about The X Factor and Love Island. I was intrigued by Cesca’s research, after all, her novels are based around real-life events. And, as ever, Cesca had a top writing tip. She undertakes preliminary research - enough for her to write a draft. Whilst writing this draft she inserts an asterisk where more research is needed so as not to disrupt the writing flow. Once the draft is written she’ll then check up. The asterisk came about after the process of writing The Silent Hours. Whilst writing The Last Night Cesca visited a local furniture restorers. And it was during this visit, when she asked them about writing bureaus and secret compartments, where she came up with more ideas for the plot. The research is therefore still extremely important but it shouldn’t be laid out in the novel as facts. Research for her romcoms is undertaken in exactly the same way. With a little * inserted in the text to indicate she needs to find out more once the draft is completed. Cesca tries not to write as both people at the same time. Typically she’d be writing the romcom whilst researching the Cesca novel. Or writing the serious stuff and reading fun books. Cesca Major's lastest novel, The Last Night, is out now. The event? Chrissie Manby's book launch for A Proper Family Adventure. The date? Why, a sunny day in August, of course! The location? The most luxurious cruise ship. On a rather blustery day we were swept aboard the Royal Princess – the most jaw-dropping ship you will ever see. The marble-lined atrium, the gold staircase, the turquoise-blue water features were just the beginning. We were led through the art gallery, the sumptuous cocktail bars and dining rooms, past the grand piano, the on-site theatre, the outdoor pool complete with cinema screen, the spa rooms, the glamorous casino – all with our eyes out on stalks. Clockwise: 1. Gorgeous Pan Macmillan books, 2. Cesca Major, Kirsty Greenwood & Hannah Beckerman,3. Claire Frost & Miranda Dickinson, 4. More gorgeous Pan Mac books, 5. 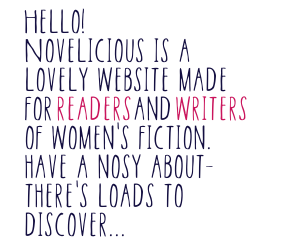 Zarina de Ruiter, Kirsty Greenwood & Cesca Major in a Team Novelicious sandwich. Last Thursday at the Oxo Tower, a load of writers, bloggers, journalists and celebs supped champagne overlooking the River Thames. The occasion? The glamorous Pan Macmillan Women's Fiction Party - re-named by publisher Jeremy Trevathan as "Books Aimed at Women largely written by Women (and one man)." The whole evening was great fun. The canapés were incredible (yes there were mini Fish and Chip cones and hot dogs smothered in mustard), the people were fabulous and the goodie-bags bursting. The chat was wonderful and there was a real buzz as authors met bloggers and we all squealed over books, writing and gossip. Heels were removed, wine was drunk and toasts were made. There were some wonderful Pan Mac authors in attendance: notably Our Leader aka the hilarious Kirsty Greenwood, a Novelicious favourites Miranda Dickinson and Lucy Diamond, the celeb in the room Helen Lederer and many, many more. We schmoozed, we laughed and we wobbled home. Thank you to Pan Macmillan for such an ace night. It was brilliantly run and we had a cracker of a time! The book opens with the promise of a wedding at Fourwinds. Nicky is to marry his bride Sarah at his family home: Fourwinds. When the two families meet it is clear that this introduction is, for some, not the first time. Old secrets are sparked and when Sarah, the bride, runs away from the house it seems she too is hiding something more. The different settings in ‘Return to Fourwinds’ are wonderfully depicted and Elisabeth Gifford is highly skilled at creating an atmospheric read and a genuine page-turner. The strands were woven together seamlessly and there were wonderfully descriptive chapters set in the heat of Valencia during the Spanish Civil War, an unusual retreat to a wild and largely uninhabited part of Scotland as well as a walk through the post-war slums in the north. Fourwinds itself was an excellent setting for the large chunk of the story, the house vividly drawn in the lead up to a wedding that may, or may not, go ahead. Everyone has their story, their hint of intrigue as many appear to be hiding something. Ralph has a unique history and his story contains a number of twists. The book has an extra appeal here being inspired by a true story from Elisabeth Gifford’s own family history. She had researched the background to the awarding of an OBE during World War II and stumbled across a relatively unknown piece of Spanish History. Then there is Alice and her relationship with Peter, a sad and beautifully told story that highlights the guilt some can carry with them for years and the impact it can have over time. The couple, Nicky and Sarah, add an important dimension to the book and the reader is rooting for them from the off. Rowan Coleman, Lisa Jewell and Jenny Colgan doing their readings for the audience. I've been to some pretty spectacular book events over the years for Novelicious but they tend not last more than a couple of hours. You can imagine my excitement then, when I headed off to Henley for a whole day of bookish delights. First up was the lunchtime chat with Lisa Jewell, Rowan Coleman and Jenny Colgan, in which they each did a reading and then discussed their experiences both during the writing process and, of course, what comes next once the book is published. Rowan, who has written some really beautiful, emotional stories explained that she likes adding humour to the stories so they reflect the reality more. "There's always love and there's always humour," she said. When asked about the story behind her covers Rowan went on to say that she is pretty pushy about hers in general – and then mentioned that her editor was in the audience. As Rowan was showing off the beautiful Richard and Judy sticker on the cover for The Memory Book, Lisa jumped in and exclaimed (in surprise!) "I'm on the cover! ", getting a big laugh from the audience. July saw a lovely invite arrive from the fabulous Julie Cohen, whose last book, Dear Thing, has been storming up the charts having been selected as a Richard and Judy Book Club Read. Novelicious were delighted to attend the classy Notting Hill bookshop Lutyens & Rubinstein to mingle with authors, bloggers and fans and celebrate the launch of Julie's very latest book, Where Love Lies. Over wine we admired the fabulously unique ceiling decorations and piles of the beautiful hardback copies as we listened to a not-at-all nervous Julie read the opening chapter of Where Love Lies. It left us with a real “oooh” cliffhanger ending (as Julie brilliant books tend to do) and promises to be another great read. Last night I was lucky enough to be invited to the fabulous Grosvenor House off Hyde Park to listen to Santa Montefiore talk at a Literati Evening. Eloquent and amusing, Santa had her audience wrapped around her (very elegant) little finger as she whisked through some funny anecdotes. First, Santa talked about the rules of writing real people into your books (essentially, if you want to be vile, but avoid being sued, make sure you include some horrific detail they would never want to own up to). She also spoke of her writing routine (she basically writes from 9-4, but doesn't see it as a discipline as she genuinely enjoys it). Her writing space sounds like heaven – all scented candles, tulips and classical music and she exudes energy and positivity when she speaks about anything. There are days when I like being part of Team Novelicious, but there are other days when I blummin' love it and thank the book gods for my excellent fortune. Today was a latter sort of day and I am writing this blog post tipsy as a tipsy thing in a cafe in Soho, where the tea in front of me is cold, but I couldn't drink it anyway because I have just consumed my body weight in amazing food at the fabulous Ivy Club in London. I imagine they won't be signing me up as a member as I made the cardinal sin of taking a photo of the lift, which by the by smacked me in the face as it opens like a door. A see-thought lift that opens like a door? Just part of my journey. So, the team got a fabulous invite from the folks over at Pan Macmillan, who look after our own Kirsty Greenwood and also publish the fabulous Joanna Rees, aka Jo Rees aka Josie Lloyd aka Mr. and Mrs. Rees of Come Together fame aka One of the Top Ten Cesca Crushes. Yes. An invite to The Ivy Club. We were in a room with a picture that I thought was butterfly wallpaper in a frame; it was cool. I was all like, "That would look great in my kitchen!" and then found out it was by Damien Hirst. Yes, I know – I do have amazing taste in kitchen art. Cesca Major brings you a bi-weekly tips video on how to beat writer's block, overcome procrastination, and make sure that your work in progress is actually making progress! This week, Cesca talks about the benefits of reading your manuscript aloud. And don’t forget about our word race tonight on Twitter at #noveliciouswordrace at 7pm. This week, Cesca talks about NaNoWriMo (National Novel Writing Month), a nationwide push to help people write a book. Beat The Block (Video) – Saving the Cat! This week, Cesca talks about ways to make a character in your story more likeable.